It’s my birthday! 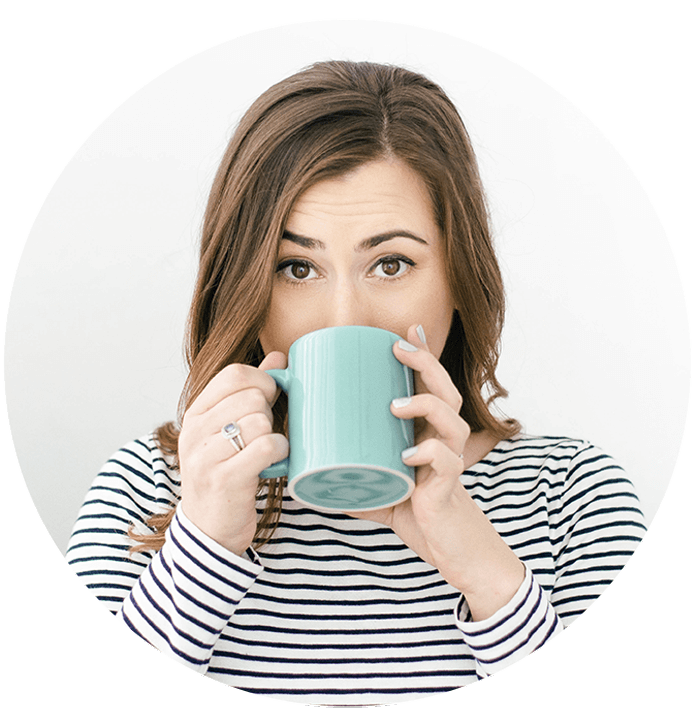 I am so excited to celebrate with you, and to do that we are doing a GIVEAWAY — 10 of my favorite tools and resources as an SLP. 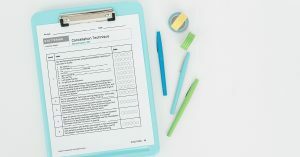 This has been a game changer for me as an SLP! I feel about 3,432 times more confident about my therapy plans, student progress, data collection, and documentation. Don’t tell anyone, but I actually kind of enjoy Medicaid billing, too. 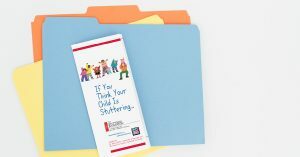 This is perfect for the busy SLP who wants fun, engaging, evidence-based therapy materials but is not excited about pulling out the old printer and laminator. This guy takes some time to prep, but it is one of my most used materials! Perfect for grammar and early MLU goals! You know how much I love my no-water chai latte! An essential for SLPs navigating the craziness of a mega caseload! I love Starbucks and Target, but I absolutely could not live without Amazon! My “go-to” for therapy materials and organizational goodies! This is my absolute favorite tumbler! I carry it with me all the time. I’ve always struggled to drink enough water, but the large tumbler does the trick! These pens are #amazing! They don’t bleed and come in a beautiful organizer. 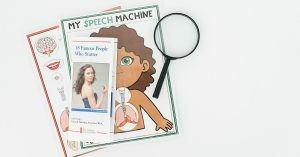 An SLP’s dream come true! This is my favorite book. It includes beautiful illustrations and an incredibly sweet story, is filled with targets, and contains just the right amount of text. Perfect for kids working on /l/, synonyms, antonyms, basic concepts, describing, inferencing… The list goes on and on! This is a close second! I love encouraging my students with this story of perseverance, and it also happens to be a great vehicle for a variety of therapy goals! 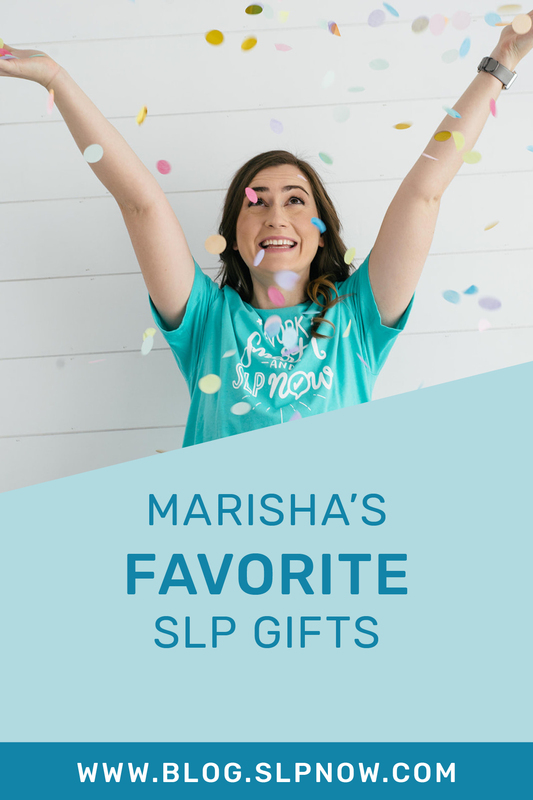 Now I’m curious… What are your favorite SLP gifts? Have a wonderful birthday! Please enter me in the give away. Thank you. Hope you are having a FABULOUS Birthday! I love the book companions! You can’t go wrong with an Amazon gift card :)! Such a fun giveaway! Happy Birthday! Thank you so much, Kora! Games: Pop Up Pirate, Zingo, etc. Thanks for the giveaway! I just love your stuff! My favorite SLP gift would be gift cards or materials that are ready to go and use! I love TpT gift cards! Or any board game I could incorporate into my sessions, my students are begging me to buy new games everyday! I love the skill packs and the quick informal assessments each packet has. It’s my birthday week too!!! Happy Birthday! Happy Birthday!!! Thank you for all your resources! Enjoy following you! My birthday was the 24th. I just turned 50. Happy Birthday! Happy birthday to you! My younger daughter turned 14 on Tuesday- hope your birthday was as great as hers was! Thank you so much, Alissa! Happy (belated) birthday to your daughter! !